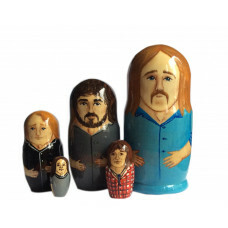 Nesting dolls with The Eagles. The production time is about 2 weeks. 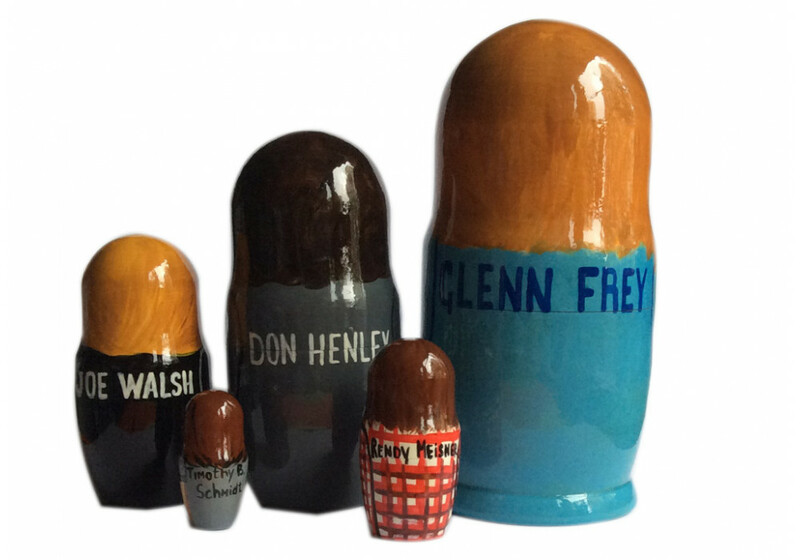 Please note that we can make matryoshka doll set with different singers, actors of these or others. 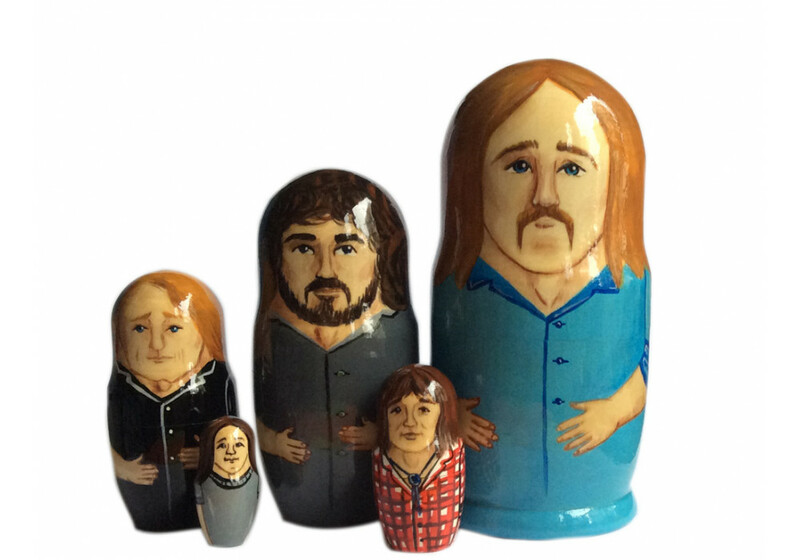 You should only send us to our e-mail order@artmatryoshka.com their photos, names, or write reference to internet website, where we can find the photos of these people.